For some college students, graduation day is coming soon. Okay, there may be a few more months, but after Spring Break, graduation is just around the corner. Time flies when students are having fun with those studies, doesn’t it? • Remind them of just how wonderful they are. • Remind them of what they have accomplished. • Remind college students of what they are capable of accomplishing. • Provide an online resource for future recruiters and hiring authorities to see the details of what students have done → their online portfolios. Provide them with an opportunity to start (or continue) networking. This may be students’ way “in” to the companies of their choices simply because someone who faithfully reads their blogs works at a company where they want to work. • Give students practice in many contemporary skills, like blogging, marketing, social media marketing, time management, team management, and many more. These skills may also be added to resumes, especially if they have been consistent with their portfolio blogs, over time, and built up a following (i.e. subscriber base). • The company can train students into what they want them to be as their employees. Many times, more experienced candidates are less trainable and more “set in their ways.” Or, at least that may be the view of the human resources department and may thwart the hiring of more experienced employees. This is an advantage for students, as recent college graduates. Even though we are using the term “entry-level” and it may not sound glamorous, students are actually in an enviable position. There are many of us who are disqualified because we are “over-qualified,” even if we are willing to be trainable and moldable. So students are in an excellent position for their job search! What we are suggesting here is college students add a bit of an edge to their credentials. That is, building a blog that displays what they have accomplished in a contemporary manner. It is like a “living resume,” played out by way of bite-size blog posts pleasing to read and ingest. It may not be likely the CEO of the company where students want to work will look at the blog, but the idea is they are getting their names, credentials, and authority out there. They have a place to send people when they really want to get a feel for what students are about and more importantly, what they have accomplished. 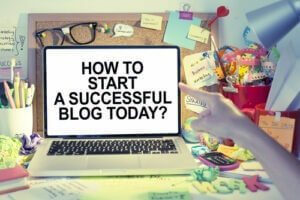 The thought of starting a blog can be both tempting and daunting. However, it is very doable, and after all the hard work college students have put into acquiring their degrees, it should appear very easy. Why? Students are accomplished, and the process is much easier when students know what they need to do. There is a helpful article on “onblastblog.com” that walks students through a day-by-day process, with the goal of helping them understand what to know before starting a blog. It is a helpful process, even if it isn’t college-centric. The article should help to take the “scary” part of starting a blog out of the equation. Also, since this article is more about the college portfolio portion, that resource may help students with the blogging basics, if they are not already familiar with the blogging process. I highly recommend they “study up” on that process so what I am sharing here makes more sense in the context of their online portfolios. Reminder: There are some basics to setting up a blog like choosing a domain, choosing the software (I recommend WordPress), going through the settings, etc. That is where the link above is helpful for going through those basics. There are also some wonderful articles on the Internet. Students can find them through a simple “Google Search.” We are going to move forward with the assumption they have the basics set up and are ready to move on with the content (blog posts). We wouldn’t be complete if we didn’t talk a little bit about the graphics for college students’ online blog portfolios. 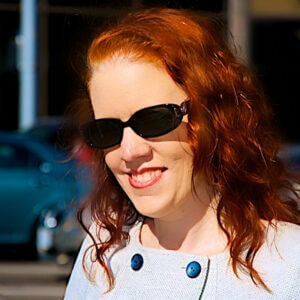 Of course, one of the key aspects is to include a nice headshot of themselves. Possibly, students want to include some action shots (i.e. graduation; working with something that fires up their passion; etc.). Be creative! Find high quality photos representing who they are and where they are going in life. In addition to the images of students, there is also a need for a graphic appeal to their sites. One possibility, especially if students want to develop the branding component of their portfolios (the brand of “you”), is to hire a professional. It can be expensive but is something they should consider if they want to ensure they are using the most effective graphics for their online portfolios. There is a new way of soliciting graphic design examples from the professionals. It is call crowd-sourcing, and it is done by groups like Designhill.com. The idea is to take the heavy lifting and hard work out of students’ efforts to come up with a description of what they are looking for in a design and sort of present it as a design contest to a bunch of professional designers. By doing it that way, the heavy lifting is done by the graphic designers, as they vie to get students’ attention with their wonderful design skills. They peruse all of the designs, and choose the one that appeals to students. That way, students are not spending all their time (and money) going through multiple iterations with one designer, only to possibly be disappointed with the final outcome. Now it is time to discuss blogging in the context of being a recent graduate. Ideally, if college students are reading this, and they haven’t yet graduated, it is a great time to start the blogging process. Of course, they wouldn’t want the blogging to interfere with the time they need for their college studies (or social and relaxation time). The reason it is a great time is it 1) gives students time to network prior to graduation; and 2) gives them time to write articles about their experiences with their projects, while it is fresh in their minds. Fresh in your mind also creates that sense of “real person,” transparency, and engagement → all very popular in our culture. For college students who graduated some time ago, this doesn’t leave them out of the game. I have been blogging for years, and I am just now starting to re-purpose my essays into blog posts on my site at Tech-Audit.com. Many of the articles on that site were inspired by experiences in corporate America, but also, many of them were inspired by knowledge gained during my college studies. Now, the next step is to re-purpose my essays. Like I mentioned, I am getting ready to add some of my essays and papers to my blog. Students can set up their blogs to indicate (i.e. in the tag line) this is a portfolio. That way, readers will expect that is what they are reading, records of students’ projects and accomplishments from college. This gives an audience a chance to feel like they are being included in something special. In my case, I set up a professional blog on the topic of finance and technology and where they intersect. I am about to embark on including my essays into the blog. It is possible, since my current degree is I/O Psychology the blog will morph into a bit of a different topic. That is okay. Today, there are so many options to make modifications on our blogs; the sky is the limit. It may not be ideal to change the name or tagline, as it would be recommended we stick with the original intent of the blog (and that is what students are likely to read in the “how to blog” type articles), but in this case, we are sort of defining our path as we go. Also, loyal readers will become interested in what YOU have to say because this blog is more personal about students own paths and accomplishments, so an audience is less likely to care if they change the tagline later. When viewers get attached to a blog about a certain topic or company, it is a little different. In those cases, the audience may not be as attached to the person and may become be more bothered by a tag line change. Fortunately, this is a blog about and by students, so they have more leeway. I’m looking through the essays I wrote in one of my favorite classes, “Social Psychology.” I found one titled “Group Cohesion.” Ok, that sounds interesting. For research to have scientific merit, one of the components needs to be the analysis of future implications. In other words, what is the outcome of this research? As a part of that analysis, questions like, “How does this research affect the scientific community, or a specific group, or the subject of the research?” may be asked. Research often plays an important part in understanding how we relate to one another, even how we relate to each other in social media. While we may not want to spend all of our time studying research expertly performed by scientists, it is helpful to consult what has been studied. One reason quality research is so important is it analyzes future implications. In other words, if done correctly, it helps to identify what the outcome of the research is. After all, how important is the research if it doesn’t help us to apply it to what we are doing and help us to improve our skills? Ok, it might still bore us a little, but college students can start to see how they can take their academic work and play with it, mold it, and make it into something interesting. It is possible, if students truly enjoy writing, they may end up with a completely different blog post when they are done. Remember those APA formatted references at the end? I suggest students find a link to the resource (journal), even if it is a link that requires payment and use that inside their articles (instead of the “References” section). Why do I suggest that? Many times readers are confused and steer away from their posts because they don’t know what to do with the “References” section. It is easier for readers to understand a link in the middle of the article and helps them feel more comfortable. Students can still write a final paragraph thanking the researchers of the journal articles they consulted, but they want to ensure it is written in a personable enough manner that readers are not scared off and away from their blogs. Don’t forget how to format those articles with proper APA formatting. College students never know when they will have the opportunity to be published in the peer-reviewed journal. That is worth retaining those skills they have learned in college! If students detest blogging, there is still a place for them. What I described above was how to blog their essays. They are certainly welcome to just paste the essay “as is,” and let people know they are reading students’ essays (see note at the end of this article regarding the university and any policy concerns). That is ok. It is about managing expectations, and letting your readers know what they will find on the site/blog/portfolio. We didn’t forget about the accomplishments! Sometimes, those are the easiest because college students can insert an image of themselves receiving an award, or a snap of the award itself, or whatever the accomplishment is. Maybe they have a video. It can be uploaded to YouTube and inserted into a blog post with a description of the accomplishment. Again, don’t forget to consult the “how to blog” expert articles for more details and tips on how to do this. Keep in mind college students may feel like they have blogged everything they can think of as far as accomplishments and school papers, essays, etc., but… They are accomplishing things every day! The path of accomplishment is not over yet. So, there is no reason why students cannot continue to write about their current accomplishments and insights as they come to them. In fact, I dare say they have become experts in other areas, even beyond what they learned in college by the time they’ve reached this point. Granted, students may not feel like they are writers, and they have had it with writing. I can’t assume just because I love writing that means students love writing, now can I? That is ok, too. In that case, they want to package up their blogs as if they are literally that online portfolio of what they have accomplished in their degrees. College students will want to include the link on their LinkedIn profiles. There are options to insert external links, and that is a great place to insert the link to their blogs/portfolios. If students have opted to keep it as just a portfolio, then list it as a portfolio. If they have opted for it to be a continuing blog, then list it as a professional blog. Do students have ideas coming to mind? Initially, they can almost copy/paste their work from college. Please do keep in mind any plagiarism rules that may exist in college. If they are currently attending college that may be a concern; ensure writing on students’ blogs doesn’t flag a “TurnItIn” alert that affects their current studies. Students will definitely want to check with their universities if they are current students and have these concerns. I hope college students have seen this is not the impossible task. If they start something like the blog set-up, and are not entirely sure they “did it right” or they want their portfolios to always look that way, they do have the option to change it easily without impacting the content they have entered. This allows students to get started today and tweak it as they go. Isn’t that really the way life works? We have to get off our duff to get going and get it done, but we can fine-tune our process as we experience more life lessons along the way. It doesn’t stop at college graduation. We have the opportunity to continue the learning process and impart that to others, as we go through life. Now, let’s share it, shall we? Looking for additional job search tips for college students and recent graduates? Go to our blog and follow us on Facebook, LinkedIn, Twitter, and YouTube. Deborah Anderson is on her way to finishing her doctorate in I/O Psychology. Along the way, she has served as Chief Technology Officer in the financial industry (in Beverly Hills), Director of Marketing in the health industry, Host of an iHeart Radio marketing talk show, and even a #1 Jazz Singer (Deborah E). From this background, she shares insights to help others overcome their challenges and succeed in their personal and professional lives. Recruiters will not be impressed with your resume if you use these four words and phrases in the following post.